If you have a backyard pond, whether natural or man made, its time to fill it with fish! 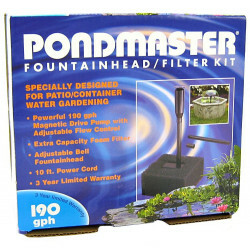 Do it easily with our wide selection of pond products from Pondmaster. We have everything you need to keep your pond going for years including discount pumps, filters and replacement parts for any size pond. Keep your koi healthy and happy with a living environment that helps them to grow big and beautiful. As pond enthusiasts ourselves, we know what it takes to make the perfect backyard pond for any type of outdoor fish, including the popular koi. Pondmaster has been around for over 50 years. Looking for a specific brand under their umbrella? We have them all: Supreme, Magnetic-Drive, Skilter, Ovation, and BioMatrix. 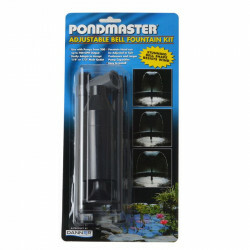 Pondmaster products provide the very highest quality and affordability in pond products. 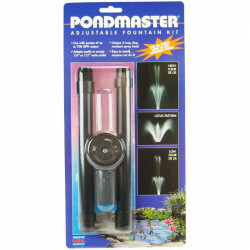 As a great value, we are pleased to offer a wide variety of Pondmaster pond products for backyard landscape and fish enthusiasts. As a top Pondmaster supplier, Pet Mountain works closely with the manufacturer to ensure that we carry the right inventory at the lowest possible prices. With our ability to buy in bulk and work with the supplier on discount programs and special promotions, we can offer you unbeatable specials and the best customer service in the industry, guaranteed. 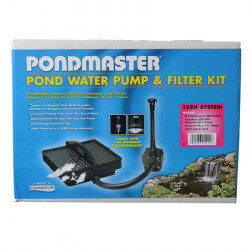 Ready to see all the great deals on Pondmaster pumps, filters and replacement parts? Choose from our big selection. Youll find everything you need to keep your outdoor fish happy. Cant find something? Let us know; wed be happy to help. Be sure to check out our online coupons and discount shipping on all your favorite products. Pet Mountain your have everything, online low price leader for all pond supplies!